AirMedic Pro 6 Vocarb without UV series including AirMedic Pro 6 Plus Vocarb without UV, AirMedic Pro 6 HD Vocarb without UV, and AirMedic Pro 6 Ultra Vocarb without UV covers up to 1800 sq ft. Wide spectrum protection at an outstanding value, this unit is recommended for areas where space is a main concern and noise is not - large bedroom, office, etc. The Vocarb gives you extra filtration and protection from gases, odors, and VOCs. Formerly known as 6000 Vocarb without UV, 6000 D Vocarb without UV, 6000 D Vocarb without UV. AirMedic Pro 6 Vocarb without UV series including AirMedic Pro 6 Plus Vocarb without UV, AirMedic Pro 6 HD Vocarb without UV, and AirMedic Pro 6 Ultra Vocarb without UV comes with 3 carbon options: AirMedic Pro 6 Plus Vocarb without UV (23 lbs, 3"), AirMedic Pro 6 HD Vocarb without UV (28 lbs, 3.5"), and AirMedic Pro 6 Ultra Vocarb without UV (39 lbs, 5"). This AirMedic Pro 6 Vocarb without UV series by Allerair is virtually ready to use out of the box. All you need to do is install the filter set. Similar to the former 6000 Vocarb without UV, 6000 D Vocarb without UV, 6000 D Vocarb without UV. IMPORTANT NOTE: All savings & retail price are quoted based on Pro 6 Vocarb without UV air purifier as the base unit. As you upgrade & customize your model, be aware of the additional charges that may apply. *Please note $100 additional charge for 220V and international plug which is not shown in US pricing. 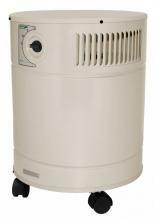 AllerAir Pro 6 Vocarb without UV Series Air Purifiers are ideal for areas 1800 sq ft or less. 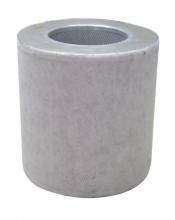 AllerAir Pro 6 Vocarb Series filters fine particles, airborne pollutants, chemical gases and odors. The Pro 6 Vocarb is specifically designed to purify the air of airborne VOCs, chemicals, odors and gases. They feature a cylindrical shape for maximizing air-flow and a four-stage powerful filtration system. 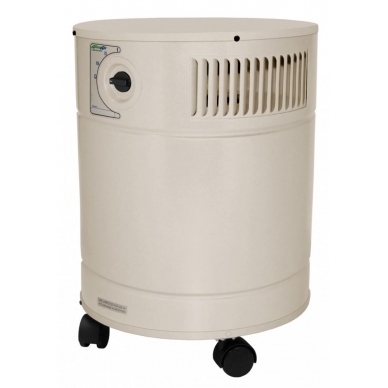 Includes a 23 lbs activated carbon filter, micro-grade HEPA and an easy-clean pre-filter. This unit (without UV) is ARB certified for California. It features a more powerful design than the Pro 5 Vocarb, while still offering reliable chemical, gas, odor and particle filtration. Exec - Designed to tackle normal concentrations of airborne pollutants, odors, and gases. Download AllerAir Pro 6 Vocarb without UV Manual by clicking here. Download AllerAir Pro 6 Vocarb without UV Spec Sheet by clicking here.